I tried restarting the laptop also but still same result. It is working fine in my friend's laptop. It is a 32gb Kingston pendrive. Please try the below fixes in order to fix the USB Pendrive not detecting error in your laptop without losing any data. When the USB flash drive does not show up in Windows 10/8/7 system, it means that the computer fails to read the USB drive. Therefore, before we start fixing the USB drive fail to show up issue, we must make it readable again. Here below we have two methods for you to force unrecognized USB drive to show up on PC: update USB flash driver or use disk management tool in Windows to detect the USB drive. Open "Computer" > select "System Properties". Click "device manager" on the left task bar > Next to "USB controller", click "+".Then you’ll see a yellow exclamation mark. Wait patiently and let the driver to be installed and reboot your computer. After doing so, you can try to reconnect your USB drive to PC and check whether the USB drive can be detected or not. 4. Right click on the USB flash drive > Select Format to directly format the USB drive to reusable again. Wait patiently to let the process to be finished. If it takes too long, you can remove the USB flash drive from the PC. 5. Reconnect the USB flash drive to the PC and it will now reinstall new device software. Then PC will read and recognize your USB drive. Then you’ll see the USB drive shows up in Windows 10/8/7 and you can even view data inside the drive again. If your computer can read the USB drive but unable to open the drive now or you’ve already formatted it, don’t worry about the data inside the USB drive. 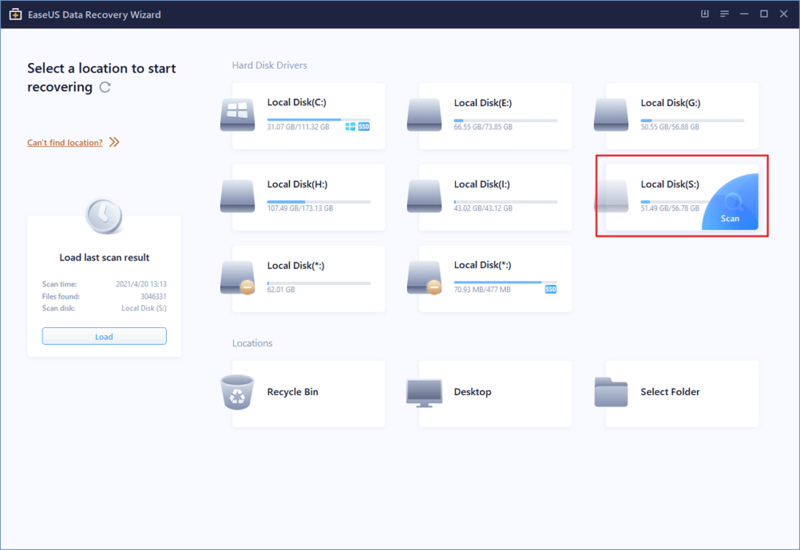 EaseUS hard drive recovery software - EaseUS Data Recovery Wizard may help. 2. Run Quick and Deep Scan to find all lost data. 3. Preview and recover found USB drive data. Do remember to use the Deep Scan recovery mode if you need to restore data from formatted USB flash drive. After getting all data back, you need to reformat the USB drive again so to convert the file system back to NTFS in the USB drive, allowing you to store data again.